Meanwhile lets just say that we are proud Rod Reel contributed a whooping 13 entries. Today lets explore trout hook sizes and the use case for each one to get you landing more fish. Getting the right hook size can make or break your fishing trip. Place a spinning reel on a table in front of a seasoned angler and I guarantee they will invariably scoop it up, feel it, turn it, listen to the click and adjust the drag. In essence fondle it like a little boy would maul over his beloved toy. The longer they play with it the more they love it. If you are short on time then you can just check out our best saltwater spinning reels comparison table. The full reel reviews are further down the page. How do you spot a quality saltwater spinning reel? It’s no secret that spinning reels are jewels of the sport but just how do you go about finding the best one? To get one that fits your needs to a tee, you will need to ask yourself a couple of important questions. How sturdy is the build of the reel? Reel bodies are mostly made of graphite or aluminum and at times both. Aluminum housing is the stronger of the two and exhibits less flex; however, graphite is lighter. Deciding whether weight or strength should take precedence depends on the fishing site. For saltwater fishing, graphite will be more viable seeing as it carries corrosion resistant qualities. That said, anodized aluminum can also handle salty water. You should also keep an eye out on how solid the construction of the reel is. There should be no flimsy or loose parts. Every moving part should deliver a smooth performance as well as possess no back play whatsoever. Determining the best saltwater spinning reel could come down to how big or small it is. The size of the reel is contingent on the type of fish you’re targeting and how much line and backing you plan to use in fighting the fish. Large reels have a greater diameter spool meaning you will be able to roll in more line per crank of the reel. This proves quite handy when fighting fish that may need hundreds of yards of line. Fish such as speckled trout require much less line in comparison to billfish or tarpon. Keep in mind the heavier the weight line the more reel capacity it takes up. Does gear ratio really matter? Unlike spin cast reels that are fitted with a rotating spool, the spool of a spinning reel is fixed such that a bail wraps the fishing line onto the spool as you turn the handle. Gear ratio refers to the wide variety of times the bail rotates throughout the spool with a single turn of the reel handle. A reel with a 4:1 gear ratio, the bail rotates around the spool four times for any unitary turn in the handle. The saving grace is that often that these reels provide more torque for reeling in large fish. A 6:1 ratio is what is considered to be excellent-speed retrieve. A superior low or medium speed retrieve should be dependent on the design of fishing you intend to do. Which drag system works best? There are two predominant drag mechanisms in today’s reels. First up is the click and pawl found in traditional reels. It’s simply a toothed gear that is slowed by a spring loaded clip. I would urge you to steer clear of such kind. Cork- it has very little start up inertia. Newton’s first law of motion educates us that objects at rest like to stay at rest whilst those moving prefer to stay moving. This means that the first moments of a fight have the greatest chance of breaking your tippets. Since cork compresses, the force it takes to get the drag going is lessened protecting the tippets from hard running fish. As the fish runs the cork expands and pressure is quickly ramped up to fish stopping levels. It’s important to manually lubricate cork drags so sealed cork drags are a not an option. If not maintained cork will dry out and rot. Then again if constantly compressed-if you crank down the drag and just leave it- the cork will eventually lose memory. Since the cork drags do not use a spring to create pressure loss of memory results in a reel with no drag. Teflon drag - these drag systems are heralded because they can last a lifetime. An added perk is that they are self-lubricated. It’s possible to seal them so that they resist the harmful effects of silt and saltwater. Their start-up inertia is slightly higher than those of cork drags, though the difference is marginal. Carbon Fiber, Graphite - very similar to Teflon but with the added benefit of dissipating heat quickly. The chances of it overheating and thus causing the reel to lose all drag are close to zero. The carbon fiber is usually matched with cork or other substrate such as stainless steel. A sealed drag avoids incursions from salt and silt and is imperative for those situations. This classic black and gold spinning reel has proved up to the task of handling the rigors of saltwater like the best of them. Its versatility has seen it be used in jigging, surf fishing as well as live bait fishing. What are its Features & Benefits? The body of the reel is made from machined bar stock aluminum. This means the metal is literally carved by a machine into the shape of the reel. This allows better alignment of the gears even when carrying a heavy load such as trophy class fish. Penn has invested in a stronger thicker oversized hardwearing aluminum bail wire. The result? It bears the weight of almost all types of fish no matter how big. An added perk is the friction trip ramp that averts casting the bail trip prematurely. Using the reel is a walk in the park. It features an infinite anti-reverse drive that comes to the rescue when you are angling after a bonefish swimming at 20mph. The handles will stay stationary as the line is stripped away from the reel with no back play on the rotor. Its ability to handle saltwater stems from its water tight design. Both its slammer drag system and gear box are sealed to keep saltwater at bay. The stainless steel shafts and bearings add to its allure in this regard. Nope - It's a Penn! The durable aluminum and graphite arbor construction has seen this reel quickly win over the hearts of many. It boasts of a crossover design that never bends while all the while still being a lightweight. Then there’s the aluminum body that is marked for beauty and strength. The construction is very hardwearing and as such can survive being completely submerged in salty water. You will be surprised how much of a light weight this reel is even with the sturdy construction. An added bonus in the comfort derived from the rubber grips that allow you to effortlessly roll your line. Any angler seasoned or not, ought to appreciate the spools multi-piece design which aids in making the most of the drag pressure while still offering an effortless cast and smooth return. Gone are the days where fishing would have you sweating profusely. You will not have to fret over the reel spinning backward when you've caught a big one. It features an anti-reverse stainless steel ball bearing that makes certain there is no back play. With all the attractive features it has, this reel falls short in the spool department. I would prefer to see a higher capacity spool that holds more line. Well as the name depicts, this reel is capable of holding its own in the saltiest of conditions. What else would you expect with its rugged construction and sealed water proof drag system? Daiwa has not only offered protection to the outer frame from corrosive saltwater but the inner bearings as well. How you ask? The bearings are made from specially treated stainless steel. This has seen these bearings handle saltwater up to 12 times better in comparison to untreated stainless steel ones. To reduce the logistical nightmare of many moving parts, Daiwa opted for a manual bail trip. This, in turn, increased the lifespan of the reel seeing as it’s stronger. Durability has also been achieved by the high-grade materials used in assembling the gearing system. I kid you not; the energy transfer from the handle to the rotor is seamless. The dual full-time anti-reverse feature doesn't hurt either. You will be able to fight most fishes without worrying over spiraling backwards. Any angler in search of a reel capable of handling the load big fish dish out look no further. Shimano saltwater spinning reels have always been top quality and the Shimano Thunnus is no exception. This reel can bear the weight of the heaviest fish without snapping or flexing. It does well as a surf fishing reel. It’s housed in an aluminum body that ensures your gears are always properly lined up when angling. As a result reeling in the fish will be a piece of cake. The all metal construction also speaks to its strength and durability. This is an added plus for saltwater excursions. If you’re hoping to fish for carp you will be pleased to know that Shimano features a bait runner system. This an additional drag system that allow a fish to take the bait, run with it to permit it to swallow enough then get a good hook set. It’s adored because it allows you to fish with an adjustable tension free spool with a closed bail. This reel may feel a bit heavier that similar models but the quality makes up for it. I bet you’re wondering whether it delivers power and finesse like it claims. It’s not only lightweight but also highly efficient in performance and all this is at a bargain basement price. The reels body is outfitted with aluminum and reinforced with a C6 carbon. The result? It is one of the most hardwearing long-lasting reels you can buy for the price it retails at. The carbon reinforcement also makes it’s a lightweight for easier casting. It features a Rocket Line Management system that will prevent your fishing lines from tangling and also offer better control of the lines when they are submerged in the water. The carbon matrix hybrid drag system holds up quite well by offering a smooth cast and reel. The 5.8:1 gearbox is an extremely useful touch. It permits you to retrieve your cast in a matter of seconds. The fish will have no time to detangle itself. This particular Sedona was specifically manufactured with easier casting in mind. It prides itself on a technology referred to as The Propulsion Line management System which I must say is very handy. I hope you agree that easier line control is a pretty huge win for any reel. 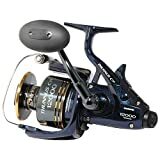 In that regard the reel has a fluid drive; Dyna balanced rotor gear systems as well as power roller which offer incredible control in putting the line back on the reel. Have you ever been in situations where a long cast is required to reach a larger fish and your best short just falls inches short? This will be a thing of the past with the Sedona spool lip that gives you those few extra yards you require. The FD stands for front drag. This will build upon its Propulsion Line Management system to offer you smooth and easy reeling. Any novice fisherman will appreciate these features. It is able to brave the salt water condition with its 4 shielded stainless steel bearings. The shields will minimize the grit and salt that may potentially sneak in to damage the bearings. It accords the reel durability by being rust resistant. This lightweight is not great at handling bigger sized fish. The ten 10 pound mono test is the best top model this reel can hold. If you want to know the ability of a reel put it to the test with big game fish. Only the best of them will not end up in pieces. 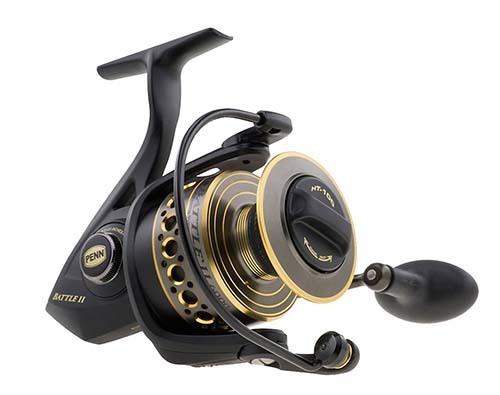 Shimamo Stella SWB is one such reel that was engineered to be tough battle ready and functional. The body is made from High Rigidity Aluminum that enables it to hold up well when handling large sized fish. The bigger the fish, the higher the jump, the faster it swims the more Stella likes it. The sturdy construction also prevents the reel from twisting or warping. It also boasts of X rigid rotor a one piece titanium bail aim wire and a Diamond like Carbon bail roller. All of these work n harmony to offer accuracy and efficiency when casting heavy and high resistance lures like stick baits metal jigs and poppers for long distances. No need to fret over damage on your reel when angling in salty water. Shimamo SWB has invested in X-protect gasket and rubber seals as well as X-shield that ward off saltwater intrusion. This may not be a deal breaker for some but it doesn’t hurt to say it. Shimamo is a bit pricey compared to the others. This reel has been masterfully crafted to handle the abuse of salty water and big fish alike. It comes in sizes 60, 40, 35 and 30 which goes to show it’s built for inshore casting as well as surf. The 60 is strengthened with X Craftic alloy frame in addition to the C6 Carbon body that cases the 30 and 35. The spool is machined from aluminum making it suitable for controlling braided line which is what any inshore saltwater angler is hoping for. The smooth carbon matrix system is an added perk. The rocket line management system outfitted on the spool is no joke. You will be able to cast further with no extra force required and at an increased speed. It has seen enabled me to cast average sized lures a mile away. The ergonomically designed oversized handle allows you to firm up your grip. This is especially important when fighting with large sized fish. The drag system is very smooth even when handling a large sized bonefish like palometa. This reel has left a lot of room for improvement when it comes to its bail. More often than not it fails to close properly and makes an annoying clicking sound when reeling in fish. This is a mid range reel suitable for saltwater fishing. It’s all black finish striking look, reasonable price and silky smooth drag are a few of the reasons it’s adored by many anglers. Any frugal angler looking for a light tackle reel that can cast far, Penn conflict will suffice. Its techno balanced rotor will ensure a smooth retrieve every time whilst the full metal body construction caters for its gear alignment even when faced with severe conditions. 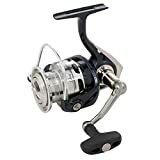 The stainless steel ball bearings, infinite reverse bearing as well as strong smooth drag will come in handy when fighting fishing in saltwater. It will not only be protected from grit and salt but you will have no back play when dealing with powerful fish. Its rotor is made by sturdy graphite that is wear and corrosive resistant. This lightweight reel is not up to the task of bearing the weight of large sized fish. 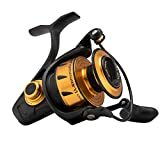 Are you beginning to connect the dots with Penn spinning reels? This is deemed to be a younger more affordable version of the conflict. It boasts features such as a techno balanced rotor braided superline spools and sealed bearings. 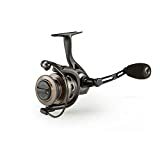 The Penn ​Battle ll is one of the best saltwater spinning reels for the money and should definitely be on your list when you are looking for a new reel. The reel has HT-1oo Vera-drag washer equipped into the spool allowing both sides of each drag washer to be utilized. The result? The drags will have more range with smoother start ups. For longevity, they are greased with Penn's proprietary grease. The reel has invested in a screw handle. I personally favor this over the pin type that will have you inserting into the reel and screwing it down with a retaining cap on the side of the body. This one feels very solid when turning the handle and with very little play. The sealed bearings are no sales gimmick. They actually prevent saltwater from entering and damaging the reel. The alignment of the line on the spool is a bit wanting. Albeit the manufacturers have offered two extra washers to cater for this, it would do as good if they fixed them in the first place. That's it for this review of the best saltwater spinning reels available today. Have you a go-to reel you can't live without? Leave us a comment below and we will take a look.